She’s at it again. That same mischievious (in all the best ways) boarder. 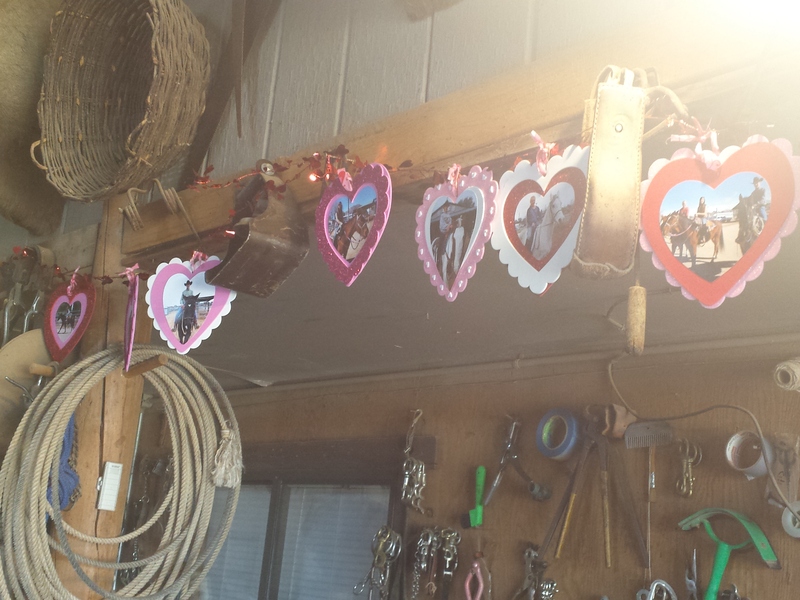 Valentine’s garland strung throughout the tack room when we arrived home late one evening after a long day gone to a horse show. 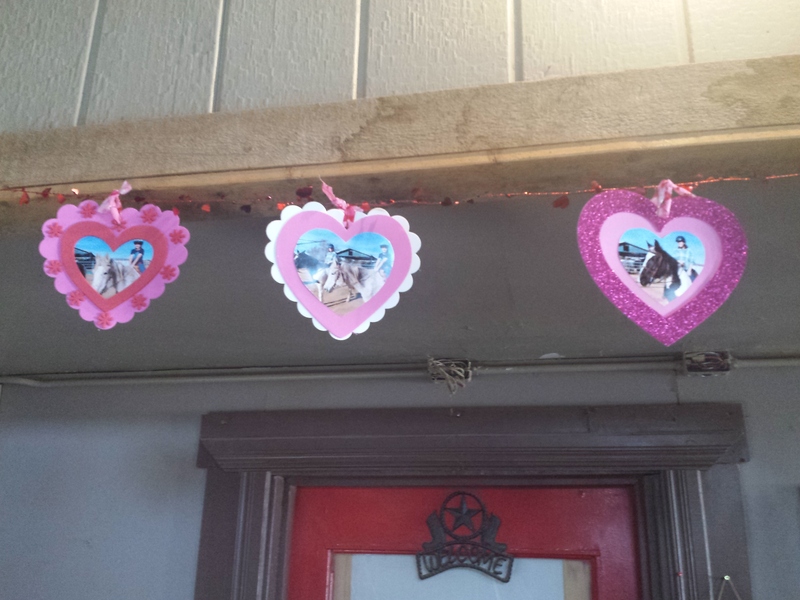 She even took extra care to make sure our own pics where placed right above our front door. I suppose whether you are in a relationship or not, it doesn’t matter if you have a horse (or just love a horse). That’s the most “stable” relationship. Sorry, I couldn’t help it. I love fun little surprises like that. Today I received a red envelope from one of my students (for Chinese New Year). She wrote a cute note: “Happy Chinese New Year! This is a red envelope, if you didn’t know, and usually you put money in it. But I don’t have much money at the moment so enjoy the sweets,” and it had Chinese candy in it. The hearts or red envelopes–things like that are so thoughtful. What a great story! Thank you for sharing it with me. It is always good to be reminded of the sweet little things that people do to show they care and appreciate you! And I like that she shared more than just a thoughtful surprise, but also her culture. That makes it even more meaningful.